WIN FREE BIKE INSURANCE + A pair of Metzeler Tyres. You have two ways to win at this years Isle of Man TT. Share your best selfie of the TT, or your best race action shot of the TT on Instagram or Twitter and tag us, @thebikeinsurer, using #tbitt and you’ll be entered into the prize draw. If you fancy an additional entry, like and follow us on Instagram, or follow us and retweet our competition on Twitter. 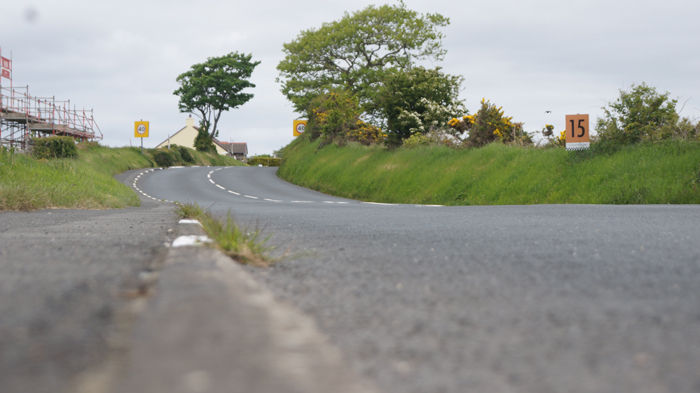 The prize for best selfie of the TT, whether on the island or on your couch, will receive a pair of Metzeler Tyres and free bike insurance for the year. If you win the prize for the best race action shot, you’ll win free bike insurance for the year. So get out there, get snapping, and share the TT experience with the world. The competition starts on 26/05/2018 00:01 BST and ends on 09/06/2018 23:59 BST. The winners will be selected at random on or before 15/06/2018 17:00 BST. Each individual will be entered into the competition when they have successfully shared/retweeted the competition from The Bike Insurer competition Facebook/Instagram or Twitter post. Each individual will be entered into the competition when they post a photo from one of the two categories and tag @thebikeinsurer, using the hashtag #tbitt on Instagram or Twitter. Two winners will be selected; one from each category of (1)Best Selfie of the Isle of Man TT, and (2)Best Race Action image. Best Selfie of the TT as decided by The Bike Insurer: Winner receives a free set of Metzeler motorcycle tyres and their motorcycle insurance paid for one year up to a maximum of £400. Insurance is subject to acceptable underwriting criteria. Best Race Action Shot as decided by The Bike Insurer: Winner receives their motorcycle insurance paid for one year up to a maximum of £400. Insurance is subject to acceptable underwriting criteria. The winner will be announced on the relevant Facebook, Twitter and Instagram pages and notified via email if possible. The Bike Insurer reserves the right to feature the name and image of the prize winner through their marketing activity, including The Bike Insurer’s Facebook, Twitter and Instagram pages within 24 hours of contacting the winner. If you do not wish for your details to be published, please email customer.services@thebikeinsurer.co.uk quoting your full name with the subject line “competition opt out”. You will still be eligible for the prize draw. Once the winners have been notified and supplied their name and address details, The Bike Insurer will arrange for prizes to be allocated. There is no cash alternative available for prizes. If the winner cannot be contacted or does not respond within 7 days of the initial notification, or cannot take up the prize, then The Bike Insurer reserves the right to withdraw prize entitlement and select another winner on the criteria set out above. The Bike Insurer employees are not permitted to enter.